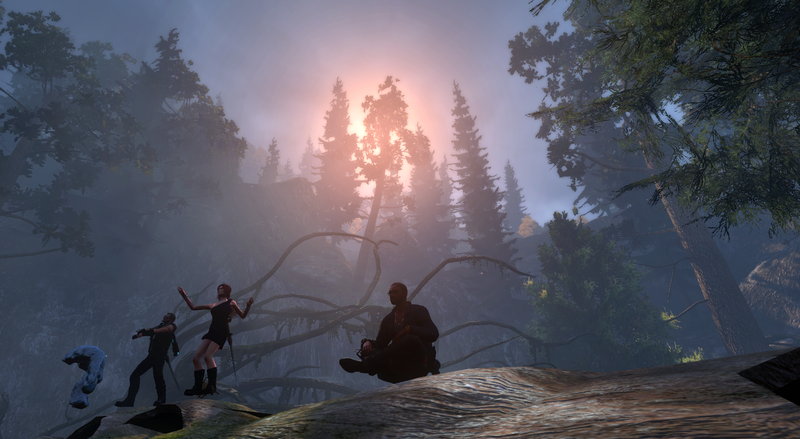 The last few days have seen far too much of my life consumed by the first anniversary celebration in The Secret World. 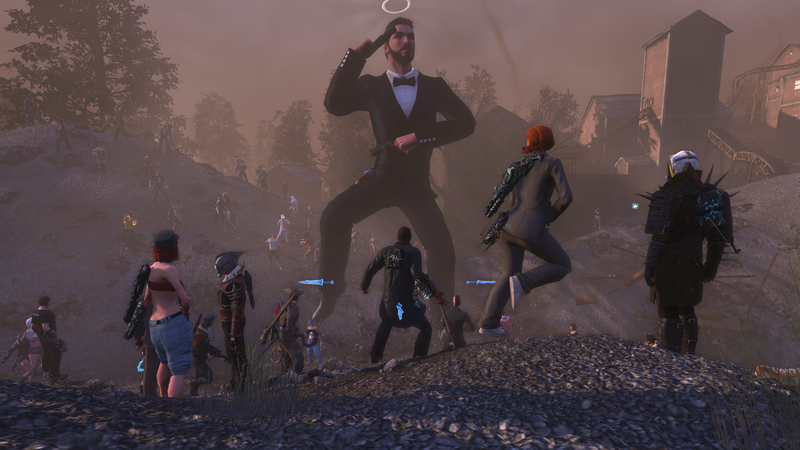 It’s already proven itself by far the most fun in-game MMO event I’ve ever experienced, and I barely know where to begin describing all that’s happened. But I guess I’ll just dive in. Words won’t be enough to describe this event, so prepare for a story told mainly through pictures. Much of my time has been spent zooming around from server to server, killing the Guardians of Gaia world bosses. 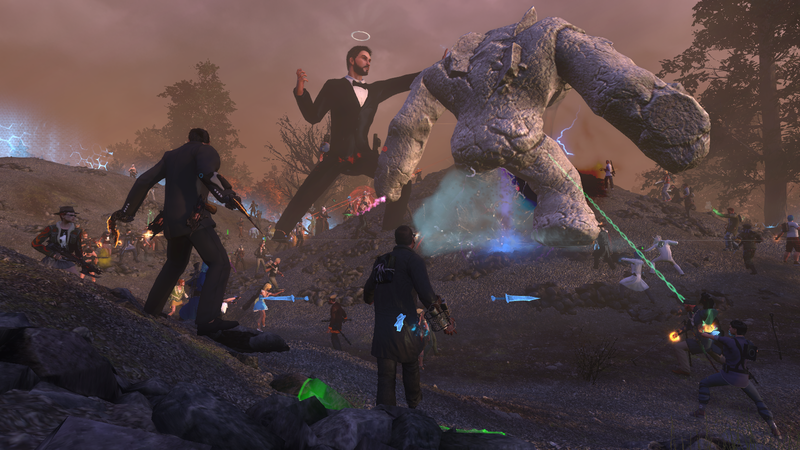 These events have been everything world boss encounters ought to be: epic, chaotic, wars played out across the face of the game world. I’m impressed my new computer is able to handle the hordes of players dog-piling these bosses. I usually don’t lag at all. Something particularly special happened while fighting one boss on the first day. 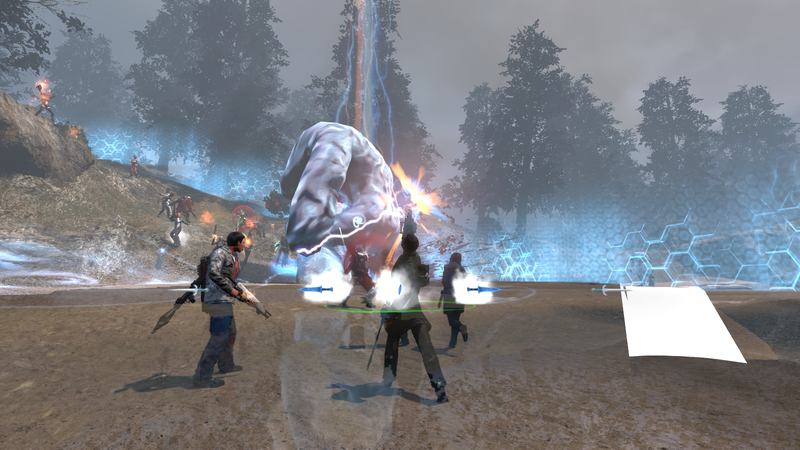 The game director, Joel Bylos, signed onto his in-game persona and joined us for the boss kill. I later learned he did this after working a sixteen hour day. I believe we can officially declare Joel the coolest developer in the industry at this point. 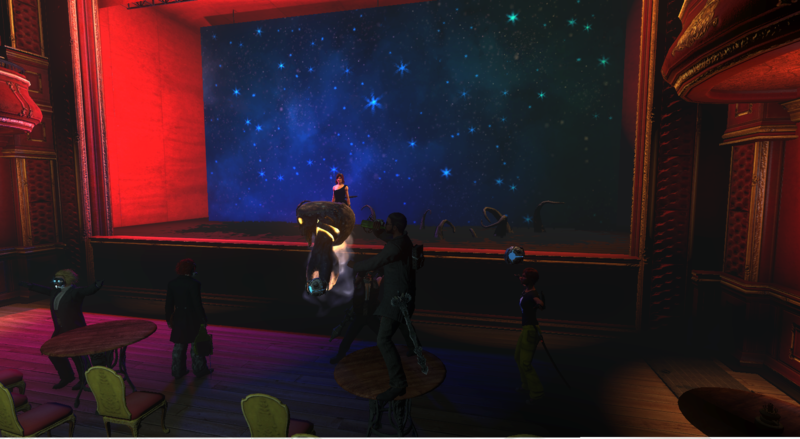 The day of the anniversary also included another 13 hour livestream by Moiren, a player who achieved minor celebrity status in TSW’s community after livestreaming a 13 hour trip on the Last Train to Cairo. This was another case of Joel being awesome, as he appeared at the end and teleported her to Tokyo, granting us our first glimpse of the new zone. I was too busy killing bosses and doing Real Life stuff to watch the whole stream, but I saw a bit over dinner, and when she announced a costume contest in the Albion theatre, I made sure to log in and make an entry. 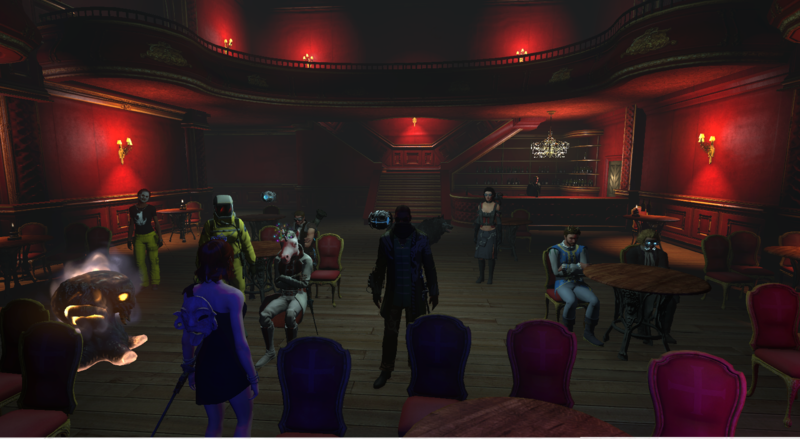 The turnout for the contest ended up being rather small, so rather than picking winners, Moiren decided to just give the prizes of free Funcom points to everyone who entered — including yours truly. 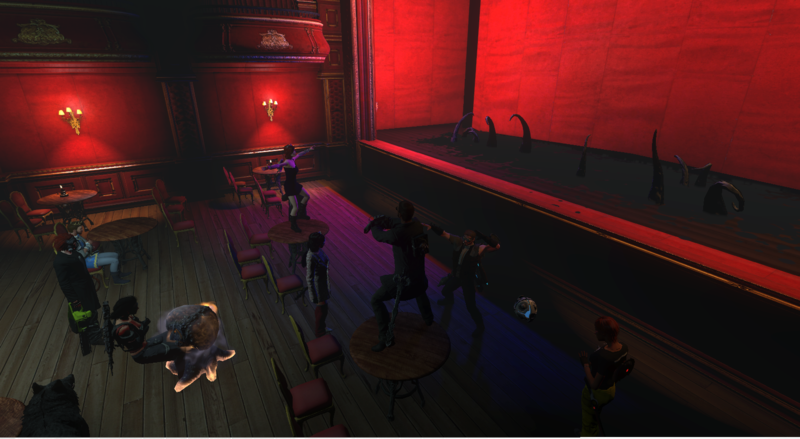 With the contest finishing early, we moved on to what any self-respecting gamers would do in that situation: drunken dance party. After that… my memory gets a little hazy. I wound up following Moiren for the rest of her stream because I was bored and hoping there might be more free Funcom points at some point. Also, when tired, I am highly suggestible. “Wanna go hunt lore in Transylvania?” Sure! 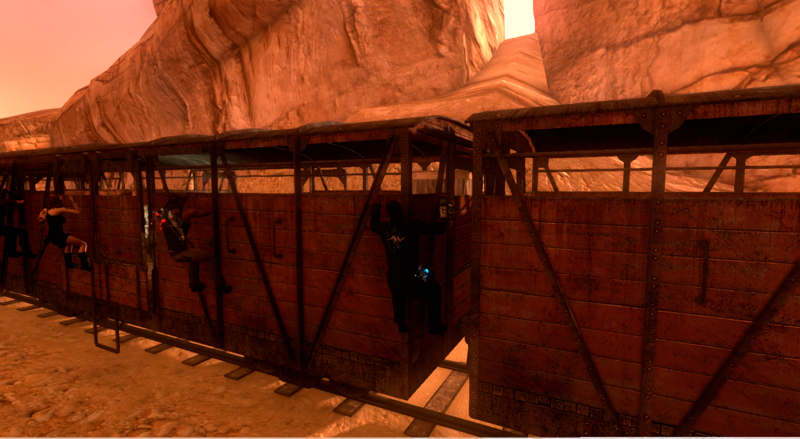 “Wanna go run Last Train to Cairo?” Sure! “Wanna go sit in the Shadowy Forest because the mist is pretty?” Sure! Eventually, things ended up with us sitting on the roof of Susie’s Diner in Kingsmouth. I’m not really sure how or why that ended up as our final destination. But hey, it was a fun ride getting there. It was a pretty good night, all in all. My interactions with fellow players in MMOs usually end with my losing all faith in the goodness of humanity, so it was nice to hang out with people who are actually pleasant for a change. And hey, free Funcom points. Thanks to Moiren for the points, for letting me hang around, and for putting up with my mindless prattle and pathetic attempts to beg for a run through Hell Eternal. But the anniversary has yet more to offer. We’ve been deluged by bonuses to experience and ability point gain. At one point, I was getting +100% XP from the event, plus an additional +100% XP from my subscriber bonus, plus a buff doubling AP gain. I was getting around a hundred AP per hour, at least. I’ve been finishing decks left, right, and center. On top of that, the world bosses have a chance to drop black bullion, the main PvE endgame currency, allowing even those of us who don’t run nightmares to get a couple pieces of epic gear. It’s insane how much goodies Funcom is throwing at us. And they’ve even decided to keep the bosses around for another week so everyone can have more time to get their loot, pets, and achievements. 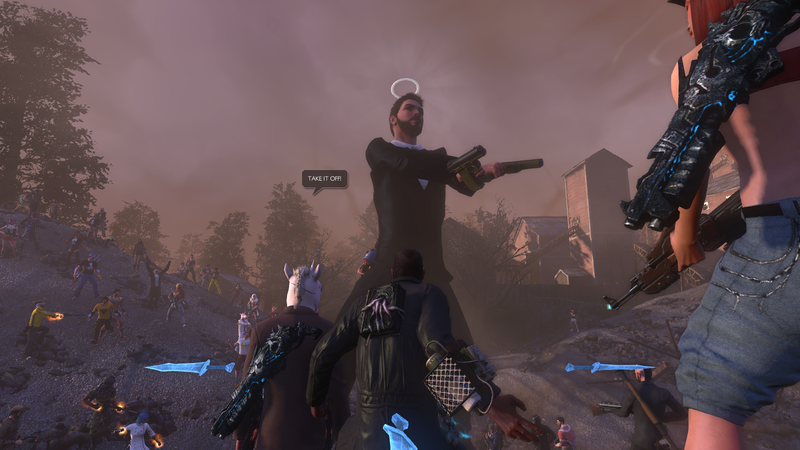 I feel ridiculous for constantly heaping praise on everything in The Secret World, but there’s one final thing that’s impressed me about the anniversary event: the community. I’m the ultimate cynic when it comes to MMO communities. I’m generally of the opinion there’s no such thing as a nice game community. Even calling them communities sometimes seems like an act of generosity; mostly, they just seem to be comprised of countless individuals out for themselves, with little care for their fellows. 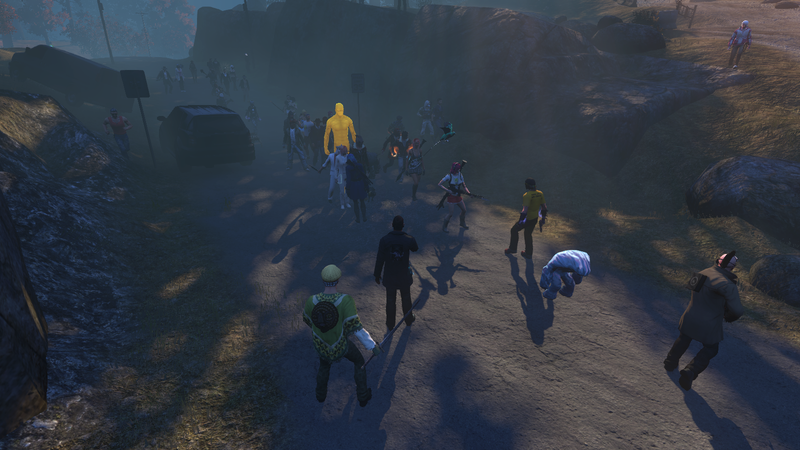 But during this event, for perhaps the first time in my MMO career, I almost feel as though I am part of a larger community. Between hanging out with Moiren and everyone else who showed up for her stream and seeing all the players maintaining the anniversity* chat channel at all hours so everyone can always find a boss to kill, I’m actually feeling something like camaraderie with my fellow players. 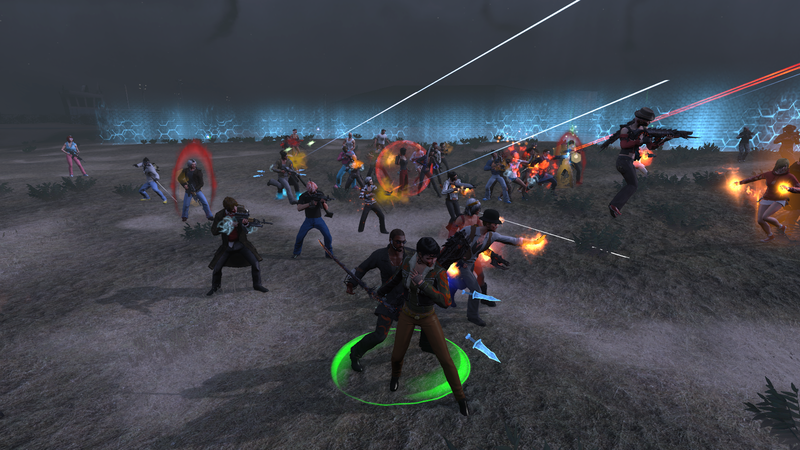 There’s something to be said for a smaller game like TSW, I think. It creates a more tightly knit community, and people seem more grateful for its continuation. 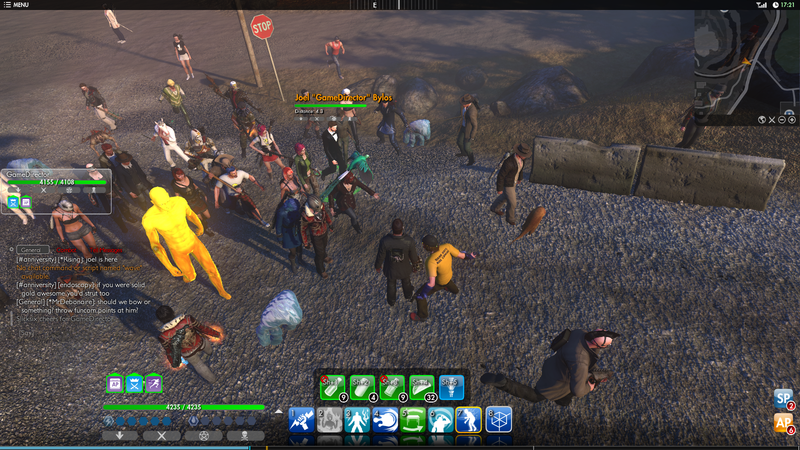 There’s a real festival air in TSW right now. The game world feels vibrant and alive like nothing else I’ve ever seen.